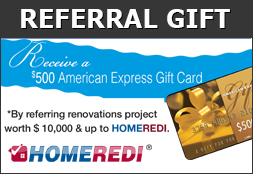 HOMEREDI Electrical Services are provided to Home Buyers, Home Sellers and Realtors through our multi-vendor partnerships with Licensed and Insured Electrical Contractors in Long Island. Most of the Homes on Long Island have been built around 1950s and the electrical service panels are not sized to handle modern living electrical loads. The good news is that we at HOMEREDI are able to manage all aspects of your Electrical Service upgrade requirements for your home preparation services, restorations, renovations and extensions in the most expeditious manner as a result of our extensive portfolio of residential projects completed each month. Electrical Panel & Service upgrades to 200, 300, 400 Amp.